Coconut Grove, FL (November 18, 2012) – When the first starting gun went off over Biscayne Bay on Saturday morning, it signaled not only the start of the 2012 Schoonmaker Cup, but the beginning of an entirely new series for sailors of one of sailing’s legendary racing fleets; the International Star. 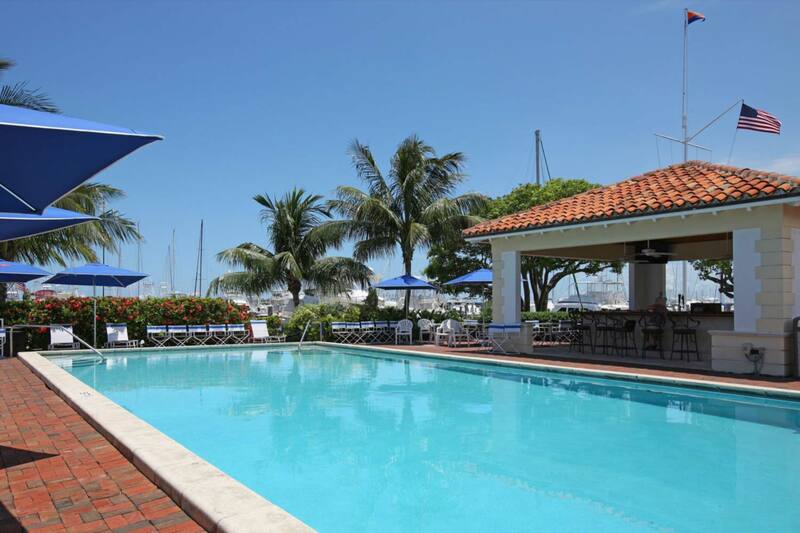 15 boats took the line set by Coral Reef Yacht Club’s Race Committee; nearly a 75% increase over the 2011 field. 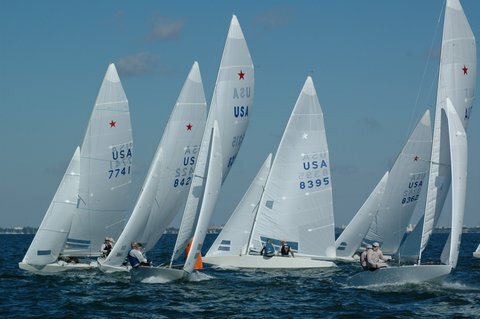 Picture-perfect sailing conditions greeted the fleet on Saturday morning, with Miami producing the 10-12 knot breeze and warm weather that have made the Southern city one of sailing’s winter wonderlands. Longtime Star helm Arthur Anosov drew first blood on a 1.2 mile course, running away with a first-place in race one with the help of 2012 US Olympic Team member Brian Fatih. 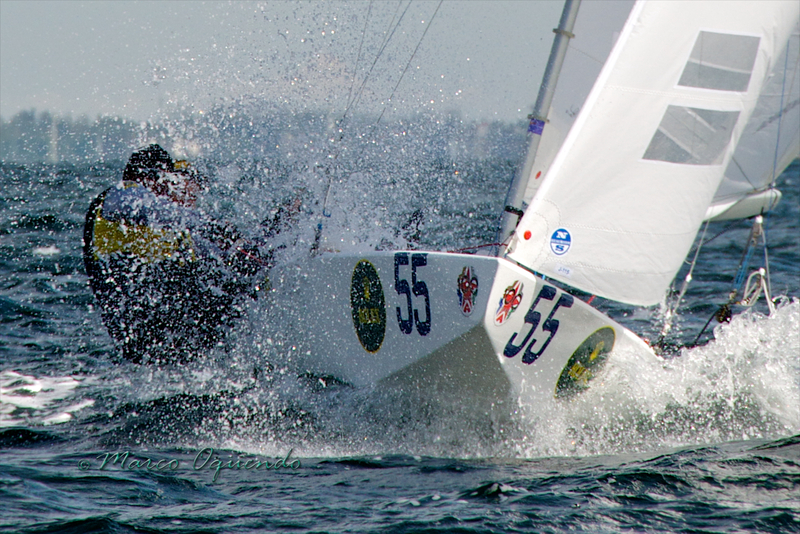 Mark Mendelbatt, who helmed for the US with Fatih as crew, could only manage a fourth place – but he was just getting warmed up. 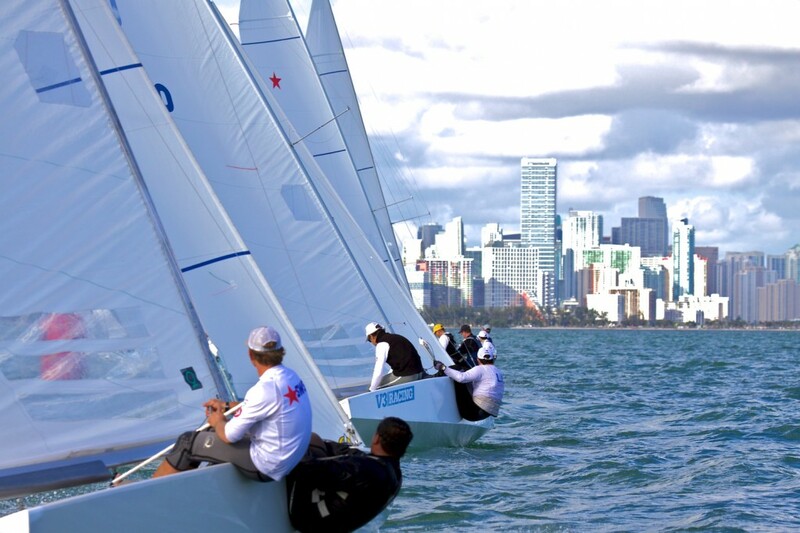 Race 2 saw Mendelblatt on the attack, working the left side of the course as the wind shifted until it was coming straight from downtown Miami. Working low on the final downwind, he crossed the finish line just inches ahead of his former crew. The final race of the day brought in a new contender; Toronto, Canada’s Brian Cramer with young crew Cam Lymburner stormed ahead of Larry Whipple/Phil Trinter to take second place at the line, putting the Port Credit YC-based team in third overall. 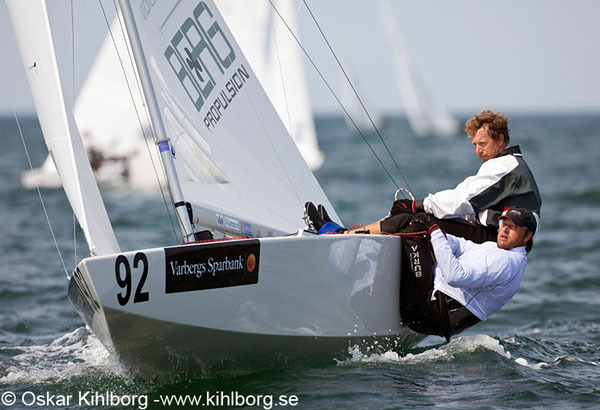 “This is just a glamour place to sail, and we’re looking forward to much more of this kind of exciting but fun racing throughout the season,” said Lymburner. Two races on Sunday complete the first stop on the Star Winter Series. Full results can be found here, while reports and event information is at the Star Winter Series website. Full photo galleries are available here. EFG International is a global wealth management group, operating in around 30 locations worldwide. It is represented in Miami by EFG Capital. For more information, see www.efginternational.com. 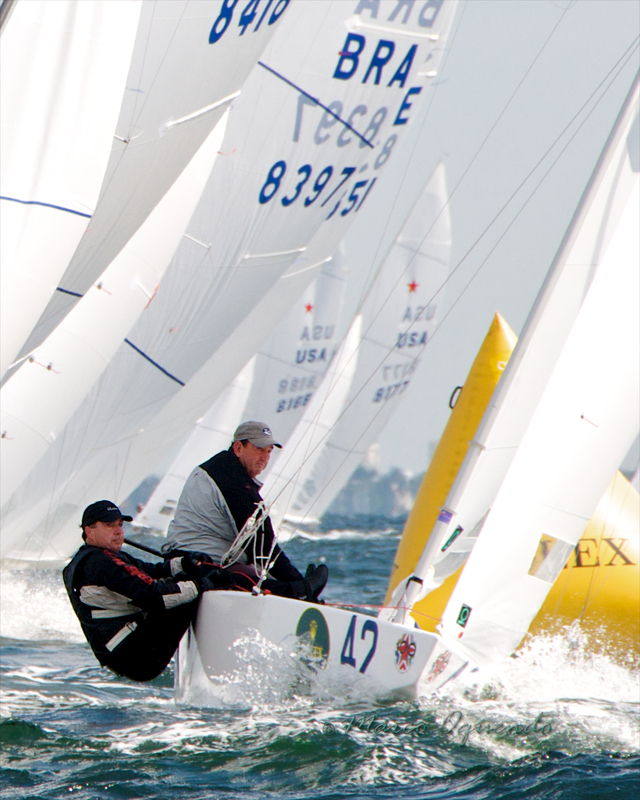 It is an active supporter of sailing – see www.efgsailing.com. Founded in 1979 by a group of sailing enthusiasts, SLAM has now become one of the leading manufacturers of technical sailing gear. SLAM has more than 40 flagship stores, and it has now become the brand of choice for many professional and recreational sailors. Most recently, SLAM was the proud sponsor of the following teams: BMW ORACLE Racing, winner of the 33rd America’s Cup; Groupama, winner of the 2011-12 Volvo Ocean Race; and the Australian and New Zealand Sailing Federations, winners of six Olympic medals (4 Gold and 2 Silver) in London.